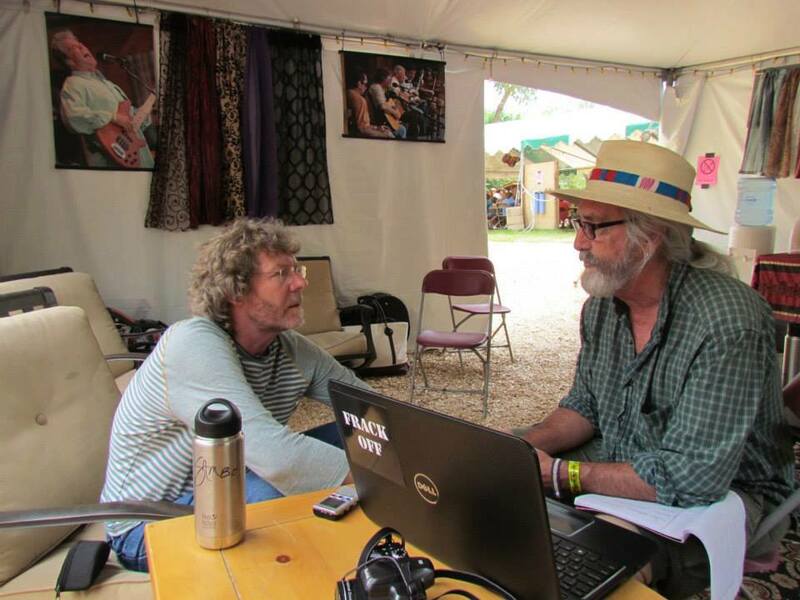 Sam Bush gave me and my boy, Gabe, a nice, long interview at RockyGrass three years ago. He was very gracious. He might still be talking to us about his relationship with Bill Monroe and the Telluride Bluegrass Festival if his handler had not insisted he had to leave (“20 minutes ago”). He remained focused on the questions and his thoughtful answers for nearly an hour. My Sammy-love-quotient went up a few points that day. He got a big kick out of my name and hasn’t forgotten since. When I run into him at Telluride or Lyons he often turns to whomever he is with and says. “Do you know this guy? This is DAY-el McCurry” — followed by a big Sammy laugh.